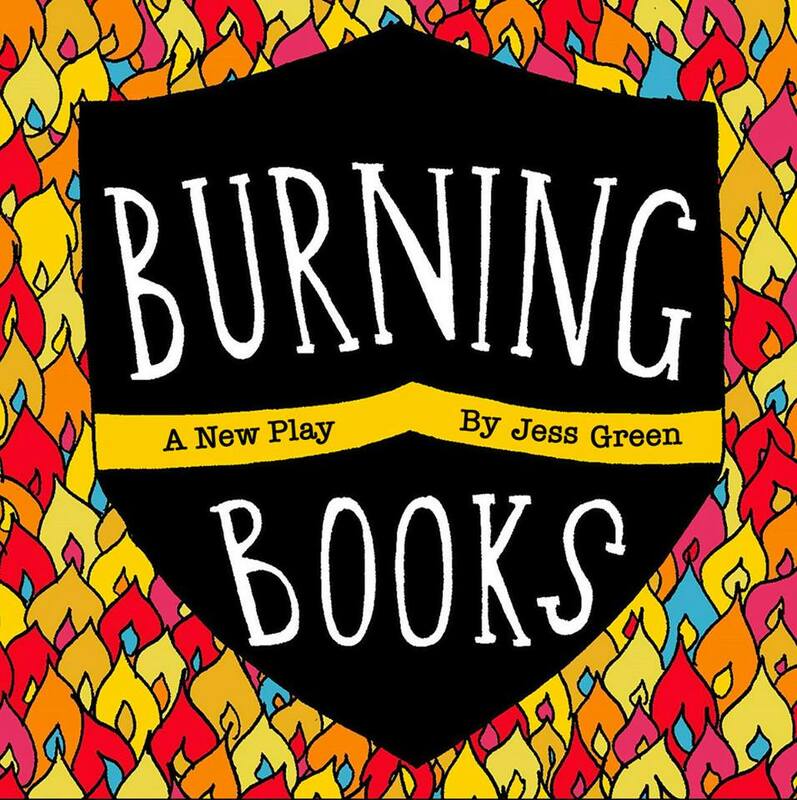 It has been a big summer for writer Jess Green: being crowned BBC Poetry Slam Champion 2018 and the adaptation of a music and poetry show called Burning Books, which she took to the Edinburgh Fringe in 2014 and 2015, opening in Newcastle. 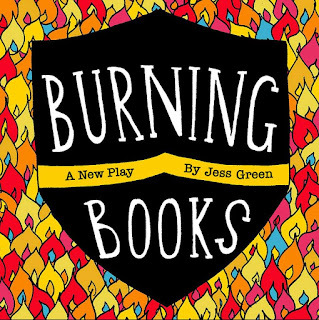 This play takes place in the staff room of a comprehensive school serving an estate. The head is making changes and forced academisation is on the cards. Set back in 2014, Nicky Morgan is in charge of education and she is pushing the changes that her predecessor Michael Gove had started. Morale is challenged, the kids are tough to please and workload is going through the roof. Entering the staff room on her first day on the Teach First training scheme is Kat (Hayley Thornton). Armed with Almond milk and cup cakes to share, she wants to make a difference. 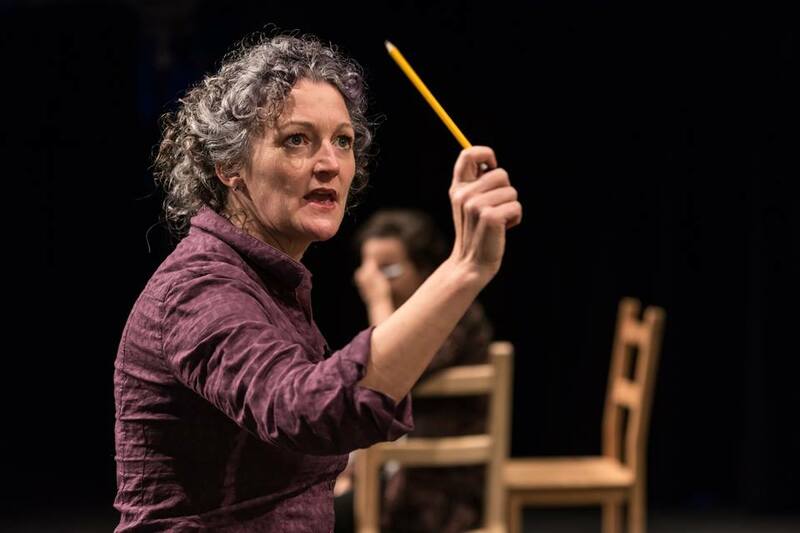 She first runs into the Head of Maths, Janine (Therese Collins) who is a part of the furniture and has seen many faces come and go. More welcoming is PE technician Scott (Conor Deane), and former headteacher’s PA Mrs Sizzly (Blue Merrick), who is now working as the librarian. 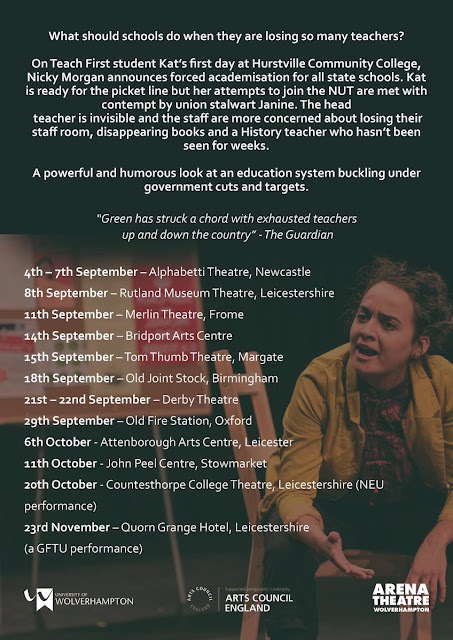 Schools are funny places and Jess Green captures the essence of some of the school politics between staff. Where do you sit, who can you be friends with, can I borrow a cup? Sometimes the staff room can be an extension of the playground – only the participants are older. The experience of new teachers has always been tough – I remember the state of some of the ones we faced back in the 80s. The new schemes can involve a much greater contact time in the classroom, during the training year, than the old PGCE. This results in a higher workload, and resultant stress, and less mentoring/reflection time – especially if your mentor is “very busy”. The writing reflects how bad it can be, in a less than supportive school, for the new teacher and that may go some way to explaining the high drop out rates of new trainees nationally. You also have the experienced members of staff that are open about their contempt for the system or may have faces that no longer fit. This show partially addresses why some experienced teachers are now leaving the vocation before their original planned retirement date. Some of the bullying is explicit, some of it is happening off set. There is also the issue of funding. This is not about teacher’s pay – though the lack of a pay rise that is in line with inflation for nearly a decade is briefly mentioned. The lack of resources in schools is a direct result of funding issues and heads struggle to find the solution when the cost of equipment continues to rise. So why do people teach? 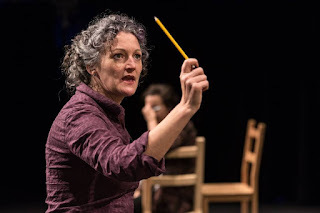 A brief scene over a couple of whiskeys partly redresses the balance and recognises the moments that can make the classroom one of the best places to work. The pace of the play, under Paul Rogers direction, is evenly handed. The politics are not party political. The issues are real enough. The cast do a great job in ensuring the characters are recognisable to anyone who has worked in a school environment. It would be so easy to go for bland stereotypes. 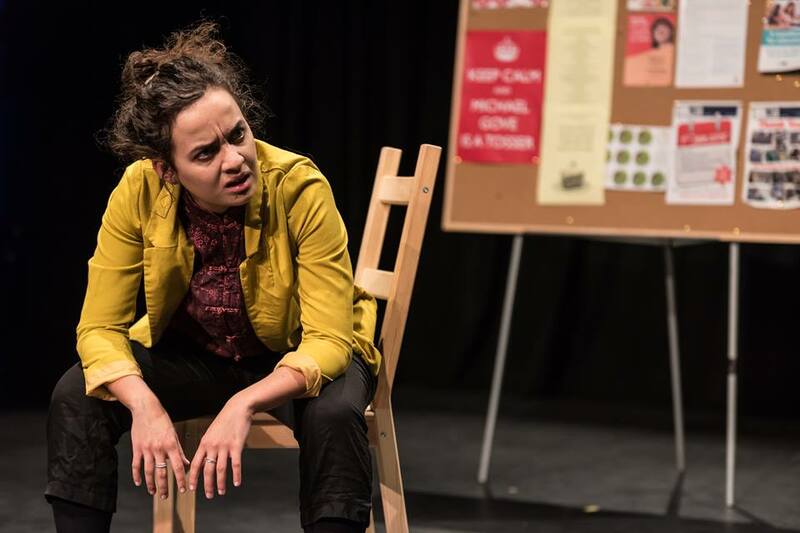 The show updates John Godber’s Teechers for the profession in the teenies (if that’s what you call the decade). The show clearly struck a chord with the audience, a number of which I suspect had worked/currently work in schools. The show is a great start to the new season in Alphabetti’s 6th season. Running Time: approx. 2 hours including interval.